Looking for something new and different to do for our 100 Days of Art Challenge, the younger two boys and myself headed to the craft store. 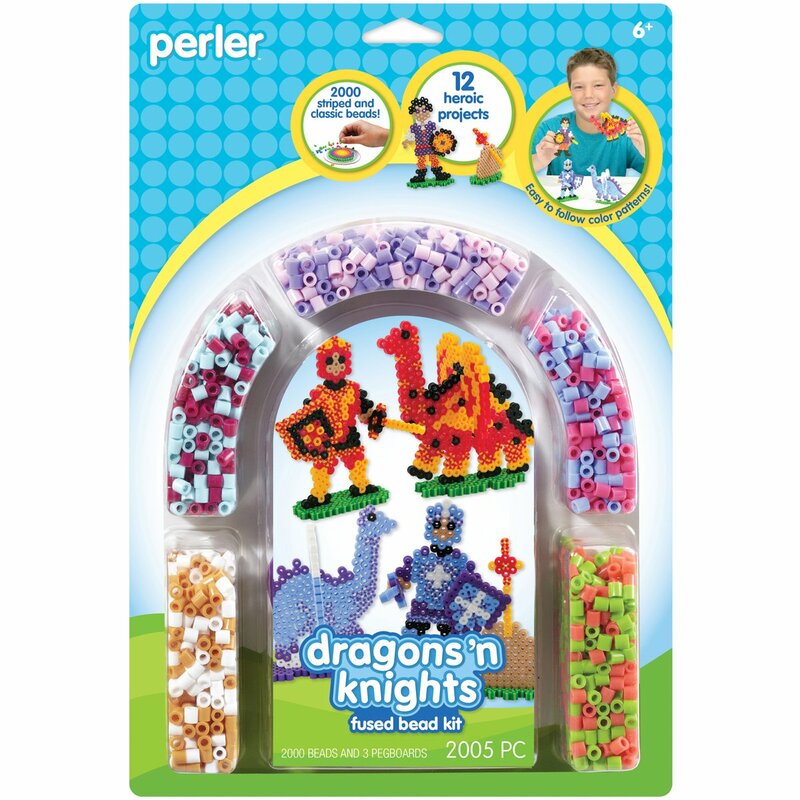 We found some fun Perler bead kits. 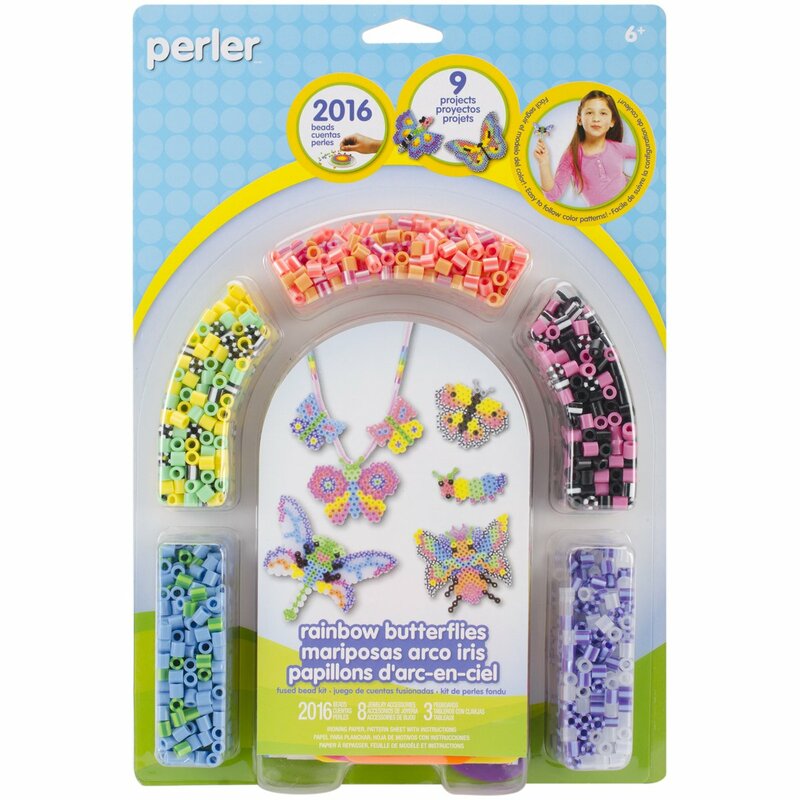 We had tried using Perler beads once during a homeschooling crafting day but had never owned any ourselves. When Evan was this Dragons and Knights kit he knew it would be perfect. Alec decided on this butterfly kit. Once home we had some lunch and then settled down to craft. Evan was so disappointed that the holders for the beads were not colored or marked in anyway and found it quite frustrating to follow the gridded pictures to make his dragon. Alec, however, used the butterfly and following his own pattern had no problem putting a lovely butterfly together. Once their designs were how they liked them we used the waxy paper that came with the kit and our household iron to melt and fuse the beads together. Evan's dragon was made up of three different components; the dragon body, the wings, and the stand. Though it was quite difficult for him he did love how his dragon looked when it was finally finished. Alec had so much fun making his butterfly that he decided to make a second using some cute little heart beads as part of the wings. I was thinking that a few of Alec's butterflies strung together would make a great mobile too! 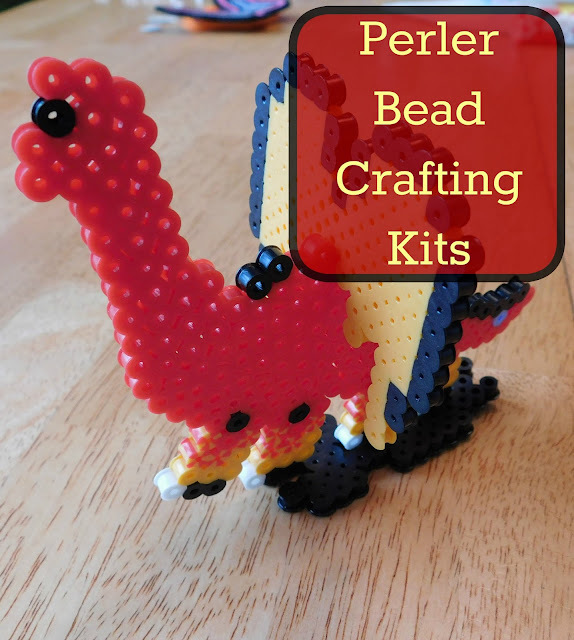 We love perler beads! My daughter has tons of beads and trays, plus a book with lots of ideas. It is time consuming and requires patience, but very worth it! I'll have to look into some books for ideas. We have tons of beads left now that they've finished up their intended projects. I love the 3D projects with the beads! Most projects I've seen are flat so those are really interesting. Thanks for sharing on the Virtual Fridge! I thought that was pretty neat too! I loved that they had bases we could build to stand them up. That looks like so much fun and they are really pretty! What great window hangings these must make! This is the first time I have used them; they were fun. My kids love this too. We have a hello kitty kit, a fox/racoon kit and a simple hexagon, and they always have a lot of fun. Thank you for joining The Really Crafty Link Party this week! My middle son would love that fox/raccoon one!